La Ru has proudly been featured in numerous galleries, retail shops, magazines, blogs, and even a video game. After a disastrous 30th birthday, my friend Matt Inman featured me on his blog. You can spot one of my robots (also used in the Ugly Baby and La Ru logo) in the web comic Why you don't like changes to your design, by the Oatmeal. Suckerpunch released InFamous Second Son on the Playstation 4. 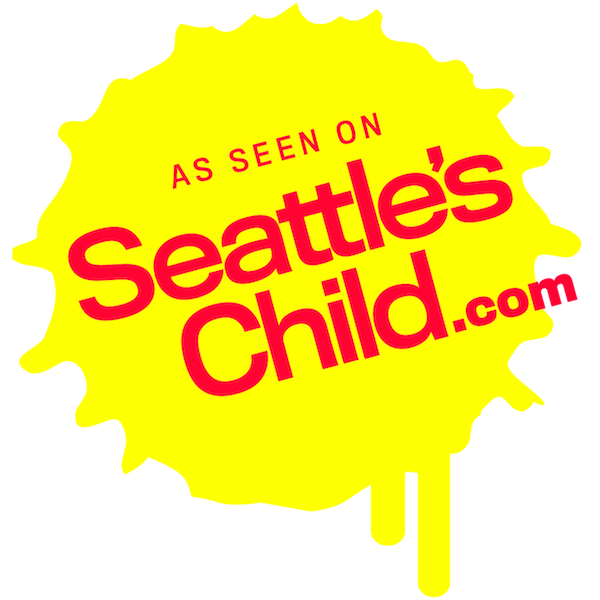 Second Son is based in Seattle and included some real Seattle shops. They used my shop: Ugly Baby and La Ru as one of shops in the game. You can see my illustrations in the windows. Seattle's Child featured my onesies as a must have for Seattle babies. Google has a program called Made with Code which encourages young women to learn programming. They featured my robot family illustration in one of their videos about robots. I wrote a tutorial for Sakura of America on how to create a resin pendant using their awesome pens. I use Sakura pens for everything - including my pen and ink drawings. I love them! My DIY Robot Cross Stitch Kit was featured in Make: Gift Guide 2016.